The export engine has been running on most cylinders since mid-2017. 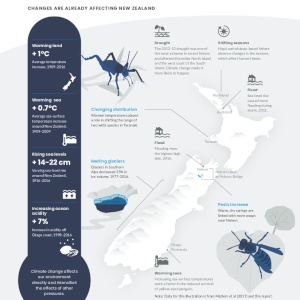 However, weather risks have now been extended beyond New Zealand. Europe battled a cold front, Australia had localised bushfires, and there are drought conditions at play in Argentina. This summer has been one of the more challenging ones for many New Zealand dairy farmers with drought conditions across key dairying regions impacting soil moisture and contributing to a 5.4% fall in milk production across the summer period (Dec-Feb). During February, two ex-Tropical cyclones caused disruptions for some dairy farmers, but delivered high rainfall. By mid-March soil moisture levels had been restored to the point where some regions are wetter than normal. Milk production is winding down quickly and will be unable to make up lost ground. As a result, Rabobank expects monthly milk production volumes to trail year on year comparisons for the remainder of the season finishing down 1 per cent for the full season. Find more from Rabobank on InfoPages.